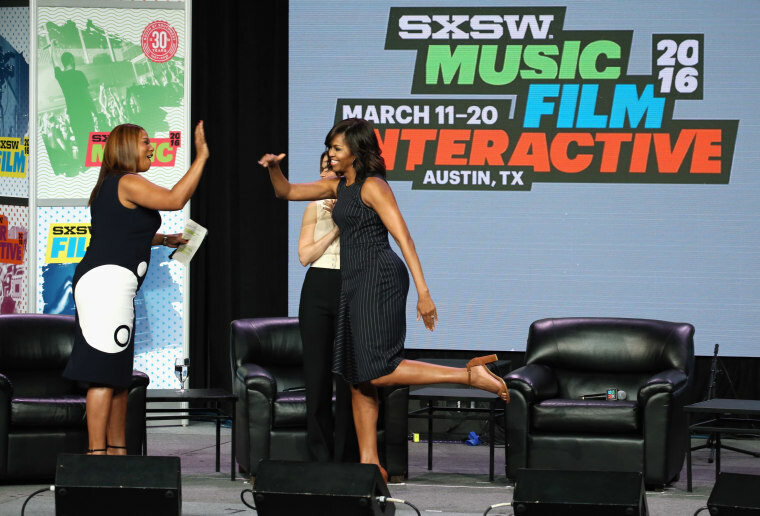 At 12 p.m. EST/11 a.m. CST today, First Lady Michelle Obama will deliver her eagerly anticipated opening keynote at South by South West. She will joined by a cabal of high-powered women, including Missy Elliott, Diane Warren, Sophia Bush, and Queen Latifah, who will act as moderator of a panel discussion about pursuing passion, music, and education. 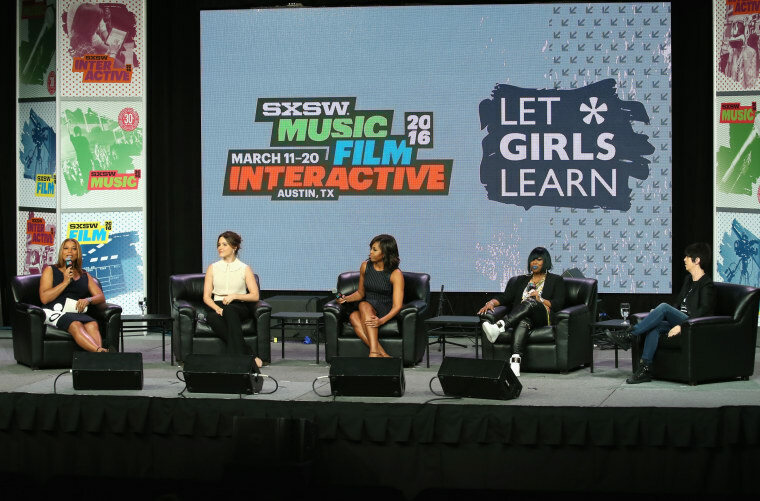 In particular, FLOTUS is expected to highlight the Obama administration's Let Girls Learn initiative, which aims to break barriers for the 62 million girls around the world who are not in school today. Halle and Chloe Bailey, two YouTube stars who have since been signed by Beyoncé’s management company, Parkwood Entertainment, will provide the opening music. You can watch livestream the event here. Additionally, will continually updating this post with highlights from the event, so check back here to follow along. 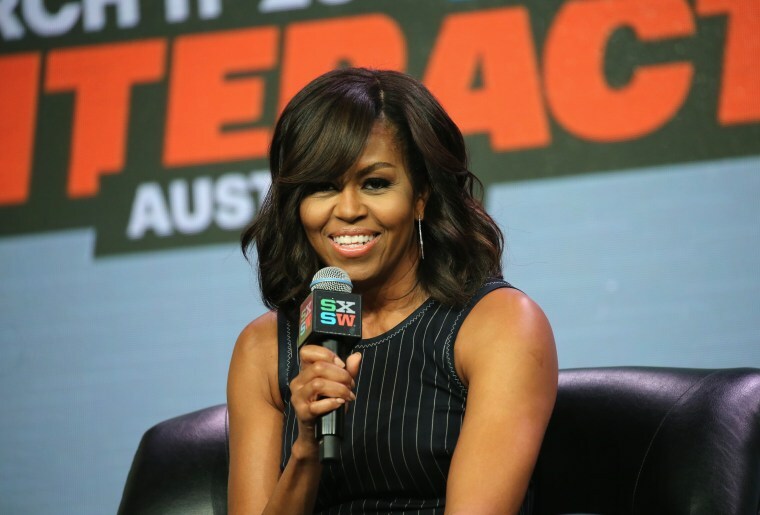 FLOTUS speaks on the self-doubt she felt growing up in the south side of Chicago. "I still feel the effects of that doubting on young people, particularly young girls," she said. "That inspired me to start Lets Learn, because today there are 62 million girls around the world who are not getting an education." 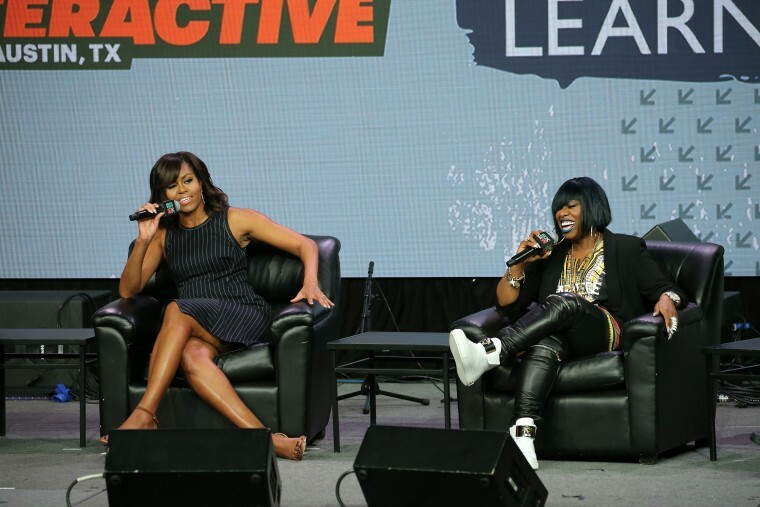 Missy Elliott: "She didn't roll out of bed and become the First Lady, it was a struggle. She didn't roll out of bed and become a great songwriter, it was a struggle." Diane Warren: "Music saved my life." Michelle Obama's first album was Stevie Wonder's Talking Book. "My very first album of my whole life was Talking Book," she said. "I played that album over and over and over again. He talked about unity. He talked about love and peace. All of his songs were empowering." Michelle Obama on her FLOTUS resposibilities: "It's not over after the White House." "My goal is to make sure I don't waste [the platform that comes with being First Lady]," said FLOTUS. With her remaining time in the White House, she hopes to focus on "making an impact, especially with young people." But, she noted that the work she's most passionate about will continue to be important even after she's departed the White House. "These issues don't go away in a presidential term, they don't go away in a lifetime," she explained. "The reason I work so much with young people is because you're going to have to take it over the finish line," she says. "We're going to hand it over to you and have your backs while you're doing it." “I wanted to write the best female empowerment song that i knew how to write," said legendary Diane Warren of "This Is For My Girls," a girl power anthem and call to action performed by Zendaya, Kelly Rowland, Lea Michele, Kelly Clarkson, Janelle Monae, Jadagrace and Chloe & Halle. “It’s just a sign of what a group of woman can do together," FLOTUS, who helped coordinate the song, continued. "We can have an impact on these people, these girls, and they don’t even know we’re doing it." "There are a lot of men-only tables, and the only people who can change that are the men at the table," she said, encouraging men to invite a women and people with diverse backgrounds to join them at the table and in discussions. The result, she said, would be more empathetic decisions. 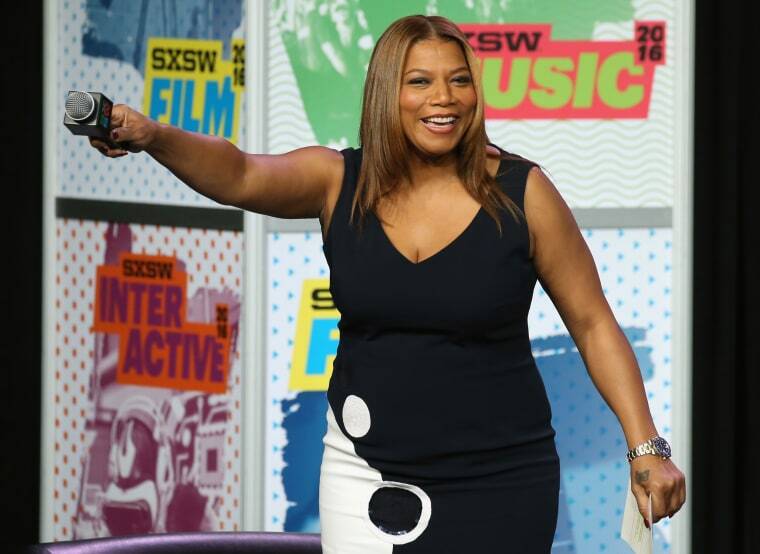 Queen Latifah on what "guy feminists" can do for hip-hop. 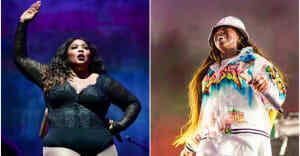 "Women is what's missing in hip-hop," she says, explaining that she and Missy have discussed this for hours. "Whenever you remove women you are lacking," she continues. "I will not run for president," she said, adding, "Here’s one of the reasons why: because I’ve got these two young people at home, and being the daughters of the president—just think of it, not so easy. They’ve handled it with grace and poise, but enough is enough." That said, she assured that she will continue to push on the initiatives and continue to find ways to impact change after she's departed from the White House. "Experiencing this with you, I’m going to miss that. But I’m going to keep doing that for the rest of my life," she said. "There are so many ways to impact the world, but you don’t have to be the president of the United States to be doing good." "What's the one thing you'll miss about being first lady?"